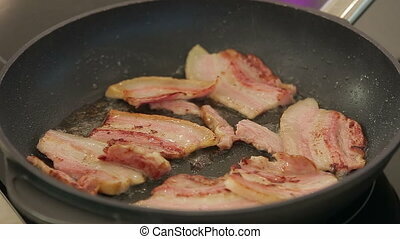 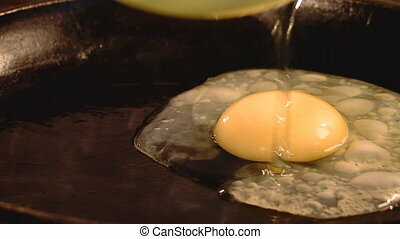 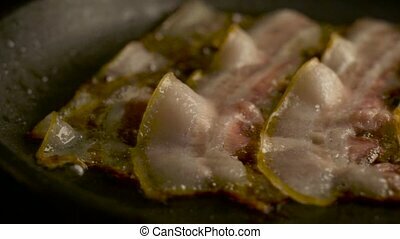 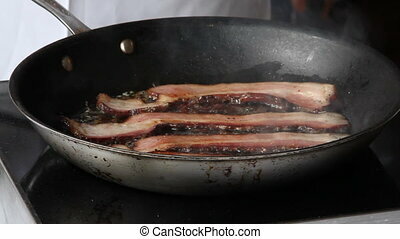 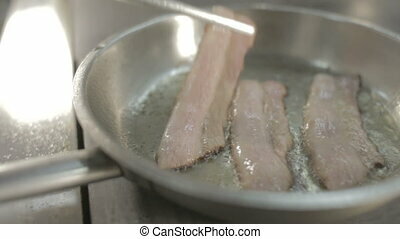 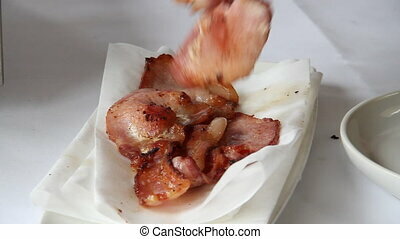 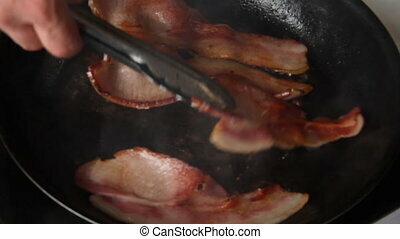 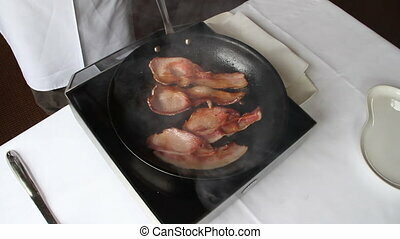 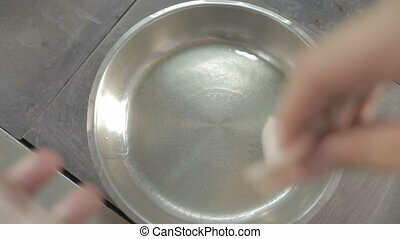 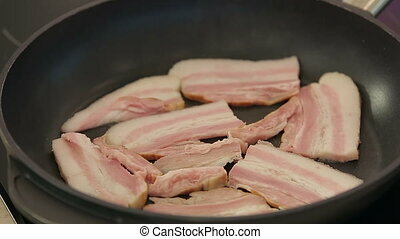 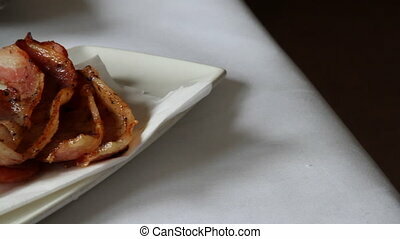 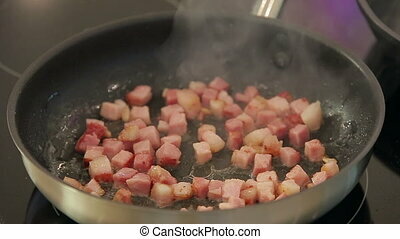 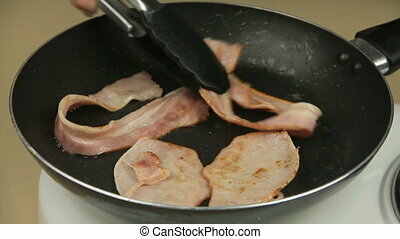 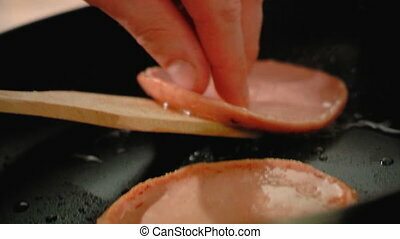 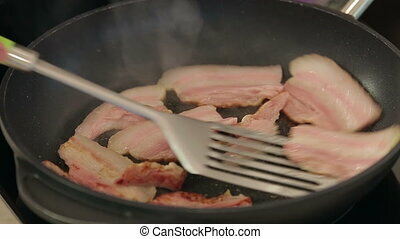 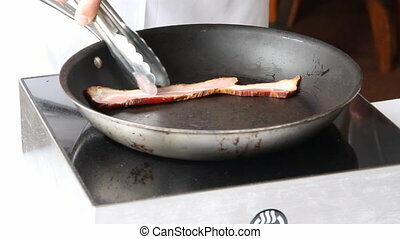 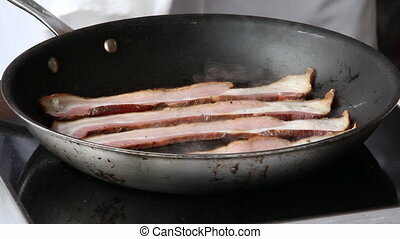 Bacon being fried in a fry pan with oil being turned over with tongs. 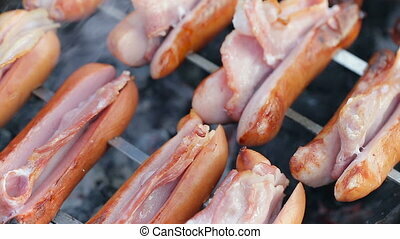 Grilled sausage with bacon on skewers. 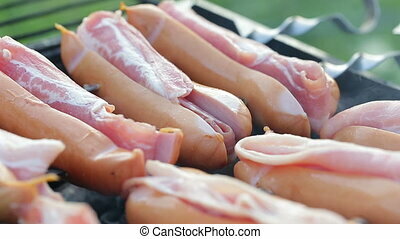 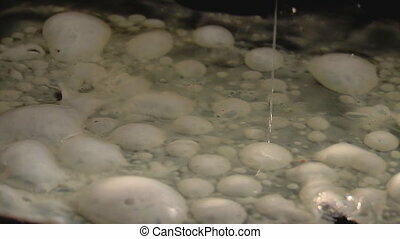 Sausages and bacon frying on hot coals close-up. 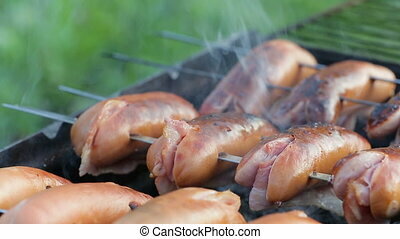 Grilled sausage with bacon on skewers. 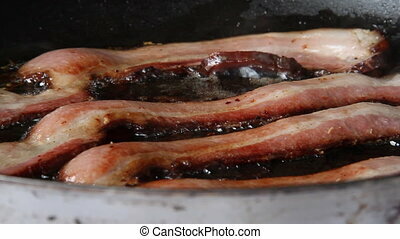 Sausages and bacon frying on hot coals close-up. 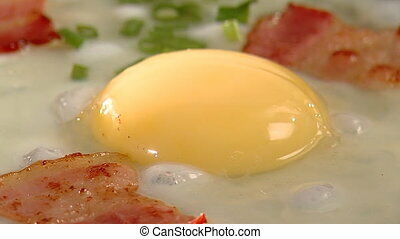 Top shooting.